Saving for retirement can seem like a major challenge when you are trying to balance other competing priorities such as paying off debt or building up savings for short-term goals or emergency reserves. Fortunately, the IRS provides an additional incentive through a special tax credit designed specifically for low and moderate-income taxpayers to help encourage saving more for retirement. 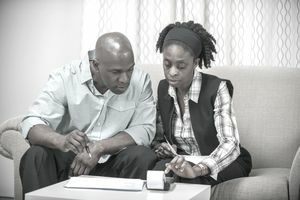 The Saver's Credit, formerly known as the Retirement Savings Contributions Credit, provides low- and moderate-income taxpayers who are saving for retirement with special tax breaks. This is different than a tax deduction due to the fact that a tax credit is a dollar-for-dollar reduction of your gross tax liability (the total amount of taxes you're responsible for paying before any credits are applied). The non-refundable aspect of these income tax credits mean that the tax credit reduces your income tax liability but does not reduce your balance below zero. Are You Eligible for the Tax Saver's Credit? In order to qualify for the 2018 Retirement Saver’s Credit you must be at least 18 years. You cannot maintain status as a full-time student or be claimed as a dependent on another person’s income tax return. The other requirement is that you must make eligible contributions to your IRA or employer-sponsored retirement plan for the tax year for which you are claiming the income tax credit. How Much Can the Saver’s Credit Cut Your Tax Bill? The tax credit amount is 50 percent, 20 percent or 10 percent of your retirement plan or IRA contributions and is dependent on your adjusted gross income. The Retirement Saver's Credit is more beneficial for taxpayers with the lowest incomes. The maximum credit amount is up to $2,000 ($4,000 if married filing jointly). For the 2018 tax year, your adjusted gross income must be $31,500 or less to qualify for the credit if your filing status is single or married filing separately. The tax credit applies for those filing as head of household with AGIs below $47,250. Married couples filing jointly with AGIs of $63,000 or less in 2018 will also qualify for the Saver's Credit. For example: Susan is a married taxpayer filing a joint tax return with gross income of $38,500. Her spouse had no earned income during 2018. She would like to save money for retirement and decides to contribute $2,000 to a Roth IRA to take advantage of the potential tax-free growth of earnings. Susan may claim a 20 percent credit, $400, for her $2,000 contribution. As an alternative, she could make a deductible contribution to a traditional IRA. After deducting the traditional IRA contribution her AGI would be reduced to $36,500 qualifying her for the 50 percent credit rate for retirement contributions. In the traditional IRA scenario the tax credit would be $1,000 (50 percent of $2,000). As tax filing deadlines approach saving for retirement in an IRA is a potential last minute strategy to help increase your retirement savings and potentially reduce your taxes (see Last Minute Tax Savings to Help Your Retirement). IRA contributions for the 2018 tax year may be made up until the April 15, 2019 deadline. If you are self-employed SEP IRA contributions can be extended until the tax filing extension deadline. Setting aside funds in an IRA for the previous tax year is one of the few strategies left as the clock is ticking toward the tax filing deadline to reduce your taxes through a tax credit. Keep in mind that if you are determining which type of an IRA makes the most sense for your situation you should explore all of the advantages and disadvantages of each option. The Retirement Savings Contributions Credit (Saver's Credit) can be used when you make contributions to following types of retirement accounts. However, if you completed a rollover from a qualified plan or IRA those contributions are not eligible for the Saver's Credit. In addition, if you received any distributions from a retirement plan or IRA your eligible contributions would be reduced by the amount received. To take advantage of the Saver's Credit you must file IRS Form 8880, "Credit for Qualified Retirement Savings Contributions." However, you must use Form 1040, 1040A, or 1040NR in order to claim the Saver's Credit. You are not eligible to claim the tax credit if you are using the more basic Form 1040EZ to file your taxes. Saving for retirement is a challenge for many households in America. Special tax incentives help make the process of saving easier. One of the main benefits people set aside savings in a retirement plan through an employer or IRA is the tax-deferred growth of earnings. Contributions made on a pre-tax basis and deductible IRA contributions also help lower your taxable income. If you qualify for the Retirement Saver's Credit you get all of the regular tax incentives from Uncle Sam to save for retirement with the added benefit of an income tax credit. Awareness is essential when it comes to taking full advantage of the Retirement Saver's Credit. Unfortunately, according to the 16th Annual Transamerica Retirement Survey only 25 percent of households with incomes less than $50,000 are aware the tax credit exists.